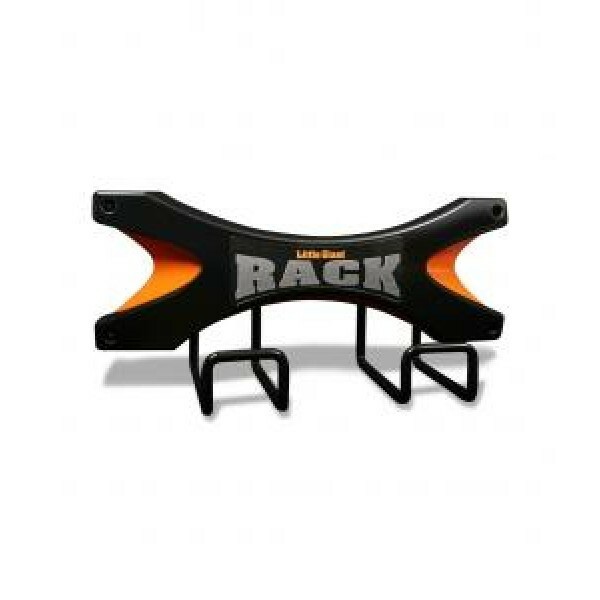 Little Giant Ladders ladder rack - Model 15005-Wall Rack. The Little Giant Rack is designed specifically for your Little Giant Ladder System. Built of heavy-duty steel with a durable powder coat finish, the Little Giant Rack makes storing your Little Giant easier than ever. Heavy duty mounting plate with steel hanging brackets. Durable powder coat finish. Adds a stylish look to any garage. Supports 75 lbs. Includes mounting instructions and mounting hardware. Skyscraper models require a quantity of two ladder racks. Be the first to receive our special offers via email!